Pancakes, Wizard of Oz, & a juice box. i cant stop cring...... i went from to just like that..... i dont even know. 06 Nov 11 copy & paste +upvote -downvote i cant stop cring...... i went from  to  just like that..... i dont even know. Awwwl , thanks you guys ! Better mood lol . 06 Nov 11 copy & paste +upvote -downvote Awwwl , thanks you guys !  Better mood lol . So happy i can have emoji convos with Tenisha now! RT @CwHyAnRiLtOaTTE: Thankful 4 another day! @KeywannaShyde @AmbHarminEm @KianaJae_ okay ! 06 Nov 11 copy & paste +upvote -downvote @KeywannaShyde @AmbHarminEm @KianaJae_  okay ! 06 Nov 11 copy & paste +upvote -downvote I'm!!! don't make me!!! I was about to start a TL saying let LaStarya out of twitter jail !!! RT @Blessed_Booty: @LaStarya lol they let u back!! 06 Nov 11 copy & paste +upvote -downvote I was about to start a TL saying let LaStarya out of twitter jail !!! RT @Blessed_Booty: @LaStarya lol they let u back!! 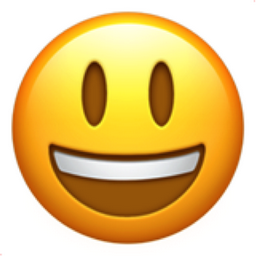 Like Smiling Face with Open Mouth Chronological Emojitweets 48?